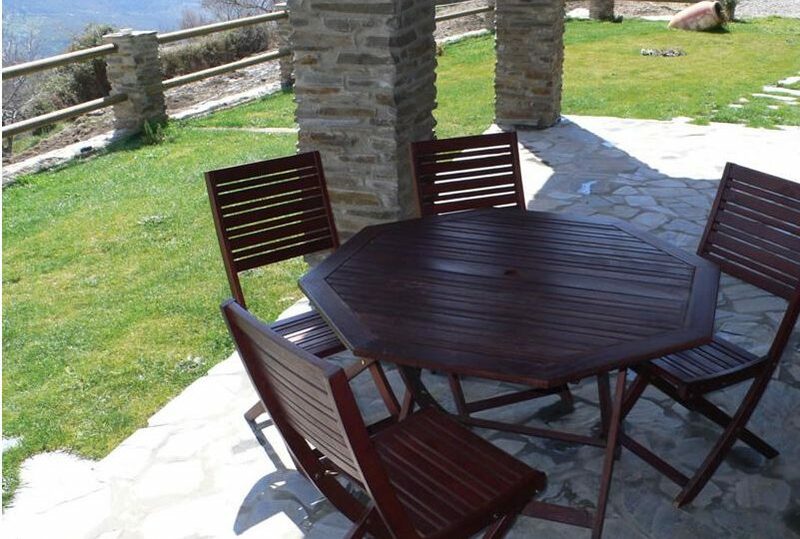 Holiday rental Casa Milagro in Bubion, the Alpujarras. 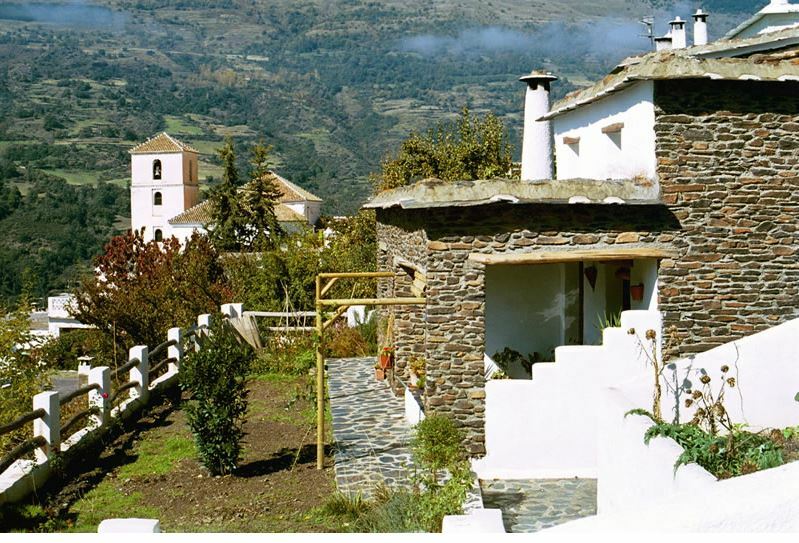 Bubion is a picturesque Moorish village, situated in the National Park of Sierra Nevada with the highest mountains in Spain. 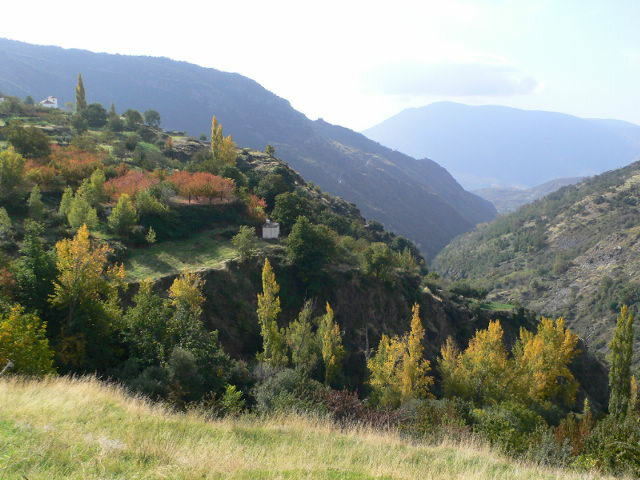 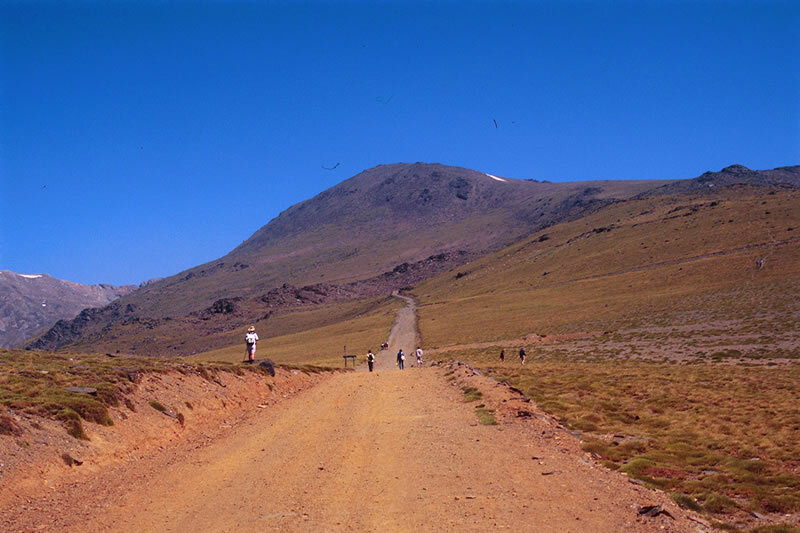 If you like walking, nature and tranquility : you can find exactly what you are looking for here. 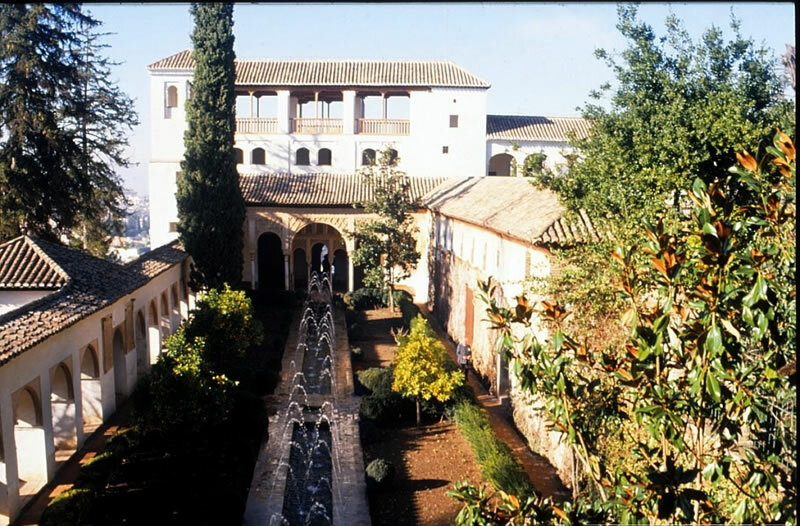 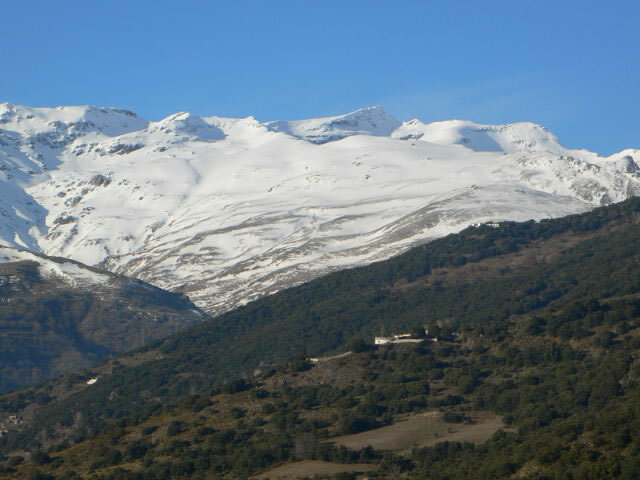 It’s 70 km from Granada and 40 km from the coast. 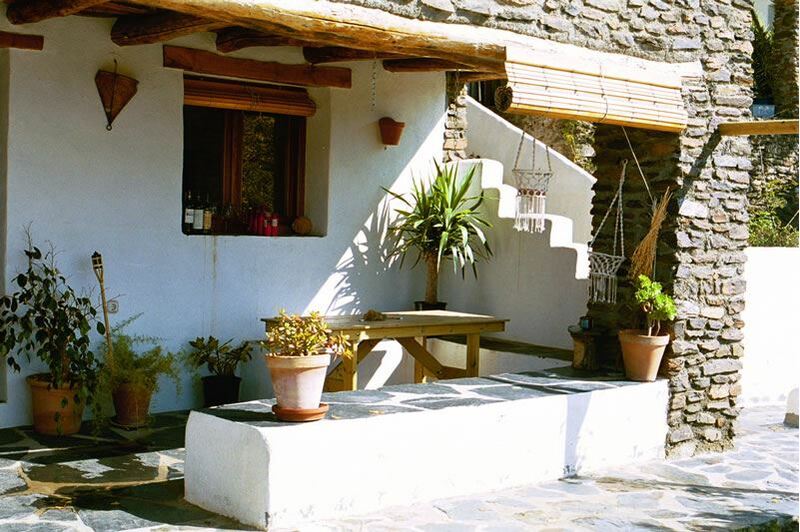 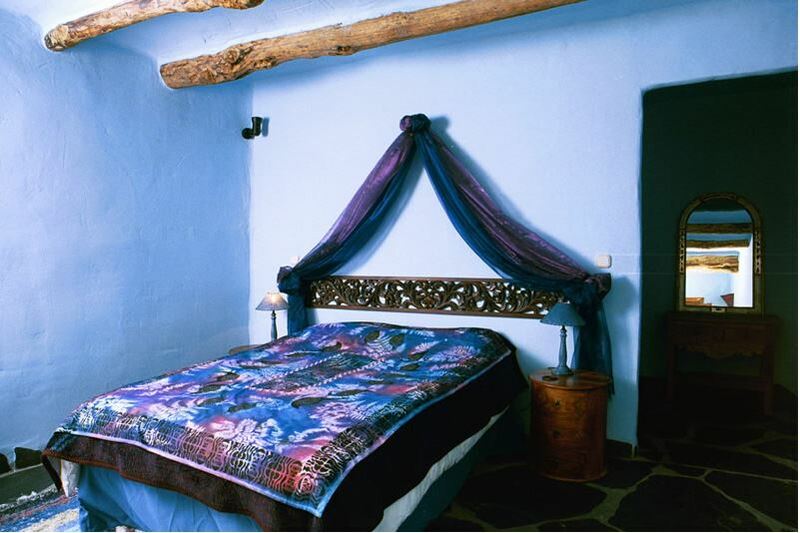 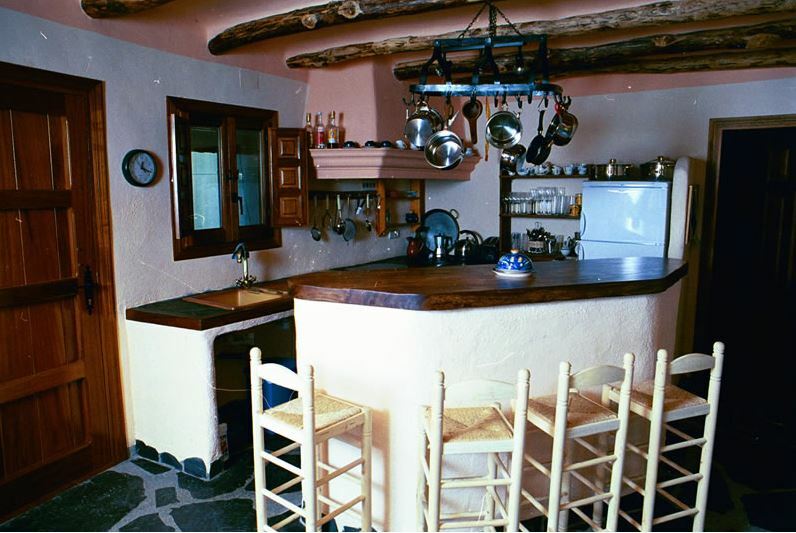 Casa el Milagro has been built recently in typical Alpujarreñan style: It is stone built with a traditional flat roof, all windows have chestnut shutters and the rooms have ceilings with wooden beams. 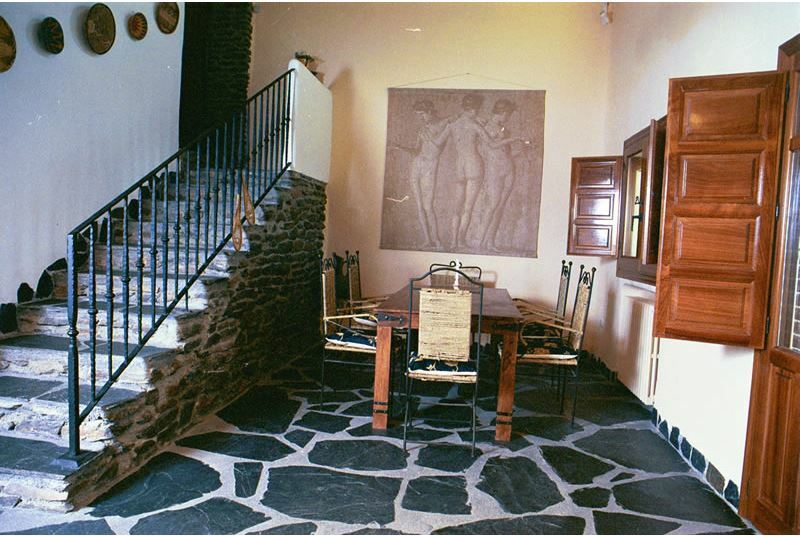 There are two floors and the house is stylishly decorated. 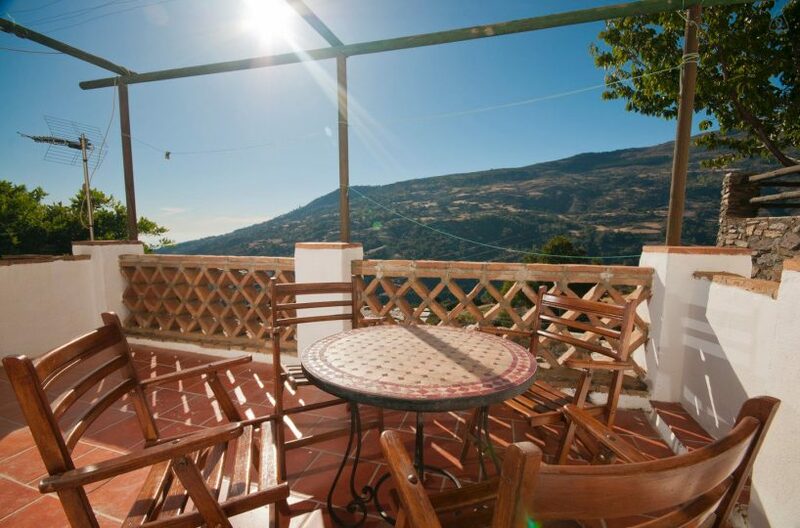 From the living room and the garden you have a marvellous view onto the Poqueira Valley. 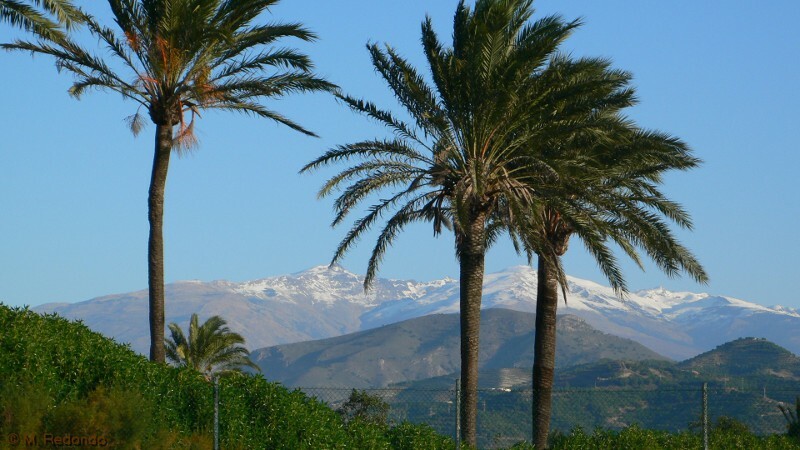 When the weather is very clear you even can admire the sight of the Mediterranean sea and the mountains of Africa. 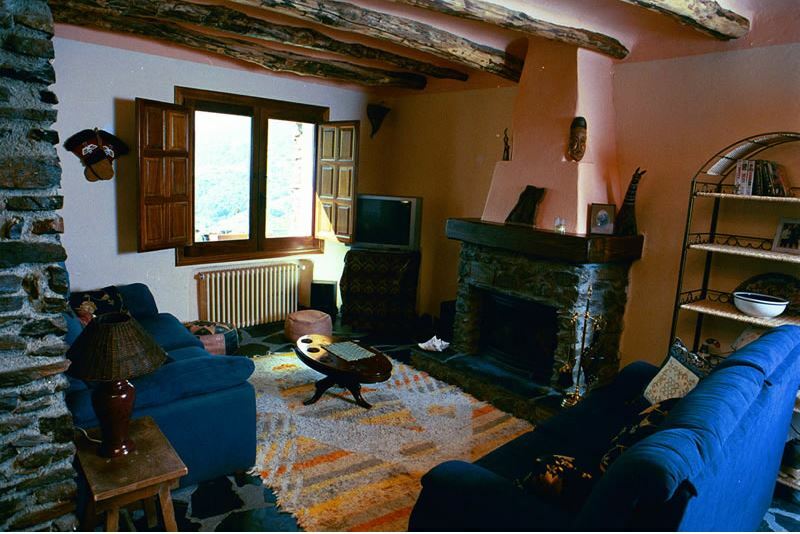 The house has a central heating system and an open fire place. 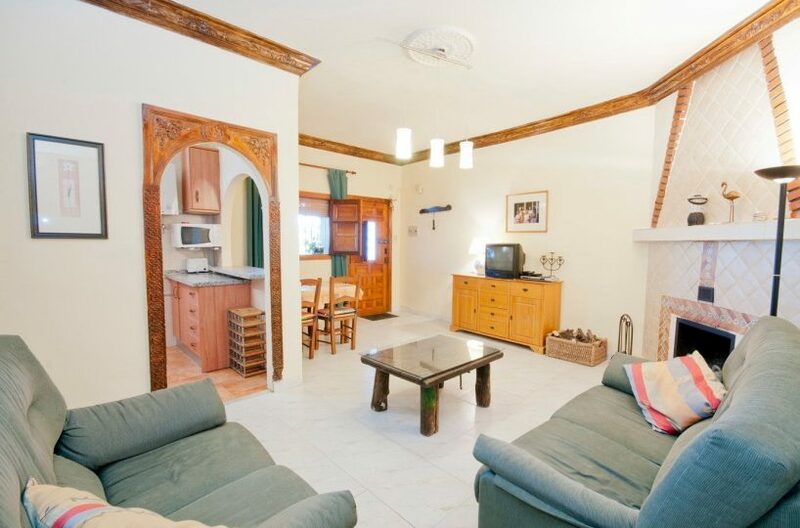 There are three bedrooms, an American kitchen, two bathrooms and a spacious livingroom. 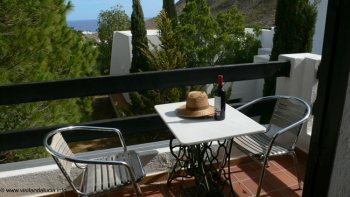 In front of the house is the garden and two terraces to enjoy the afternoon and evening sun. 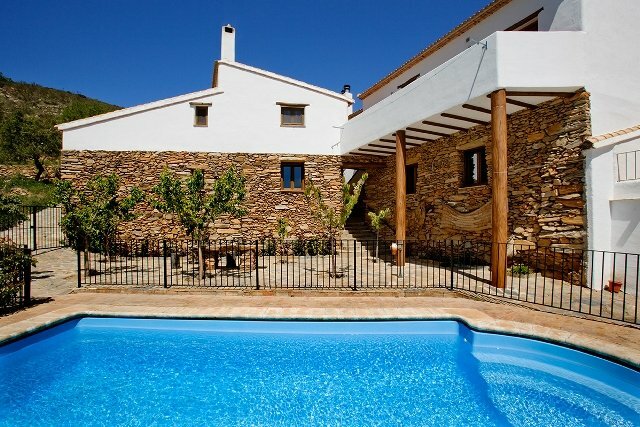 This house is less suitable for young children due to steps and different levels of the terraces around the house. 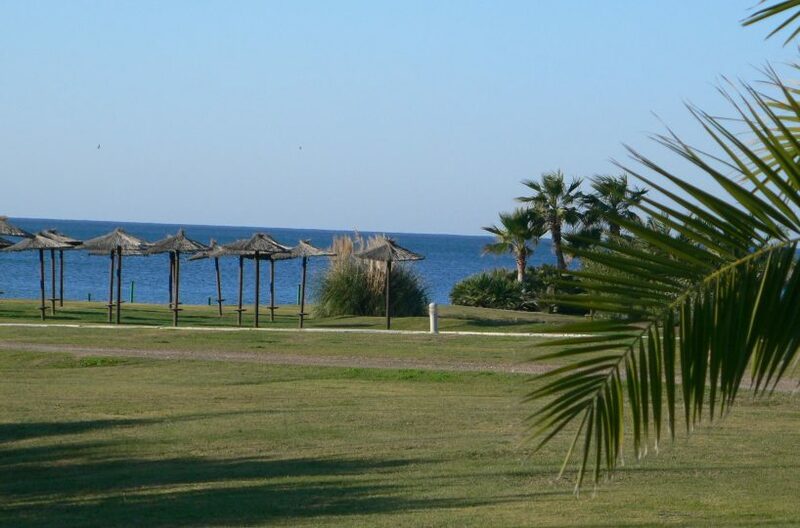 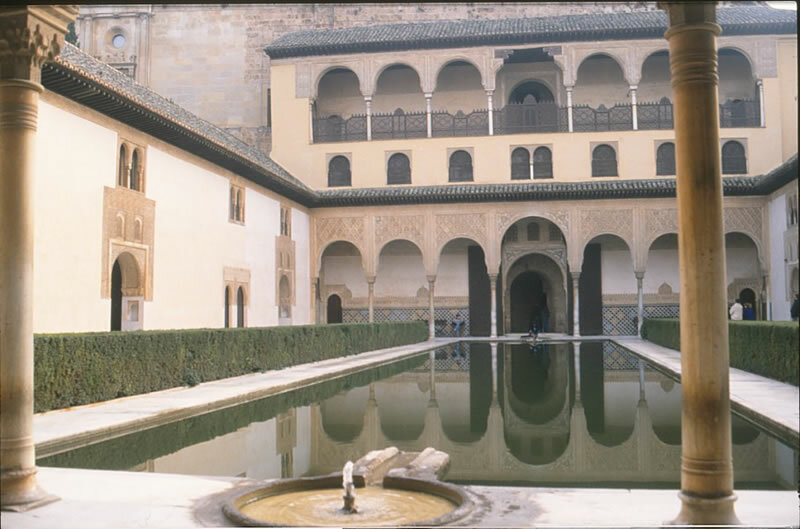 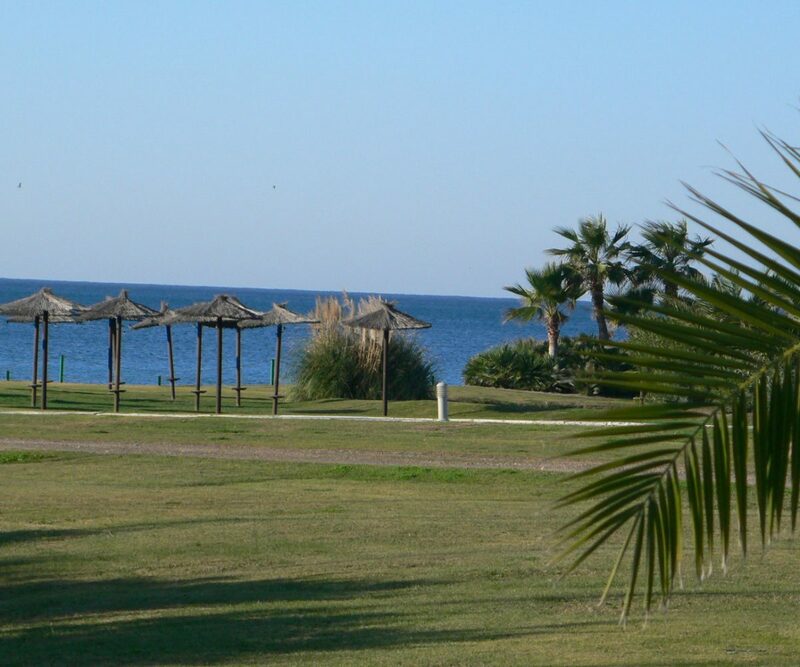 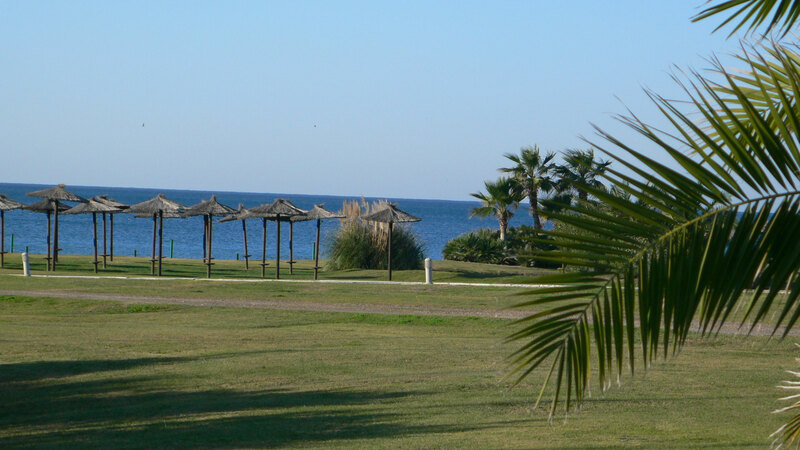 Special prices in Christmas, Easter and Spanish bankholidays.